This cover was proposed for the August 2017 issue. Though shark attacks are rare on the Oregon coast, a handful of surfers share their stories here. 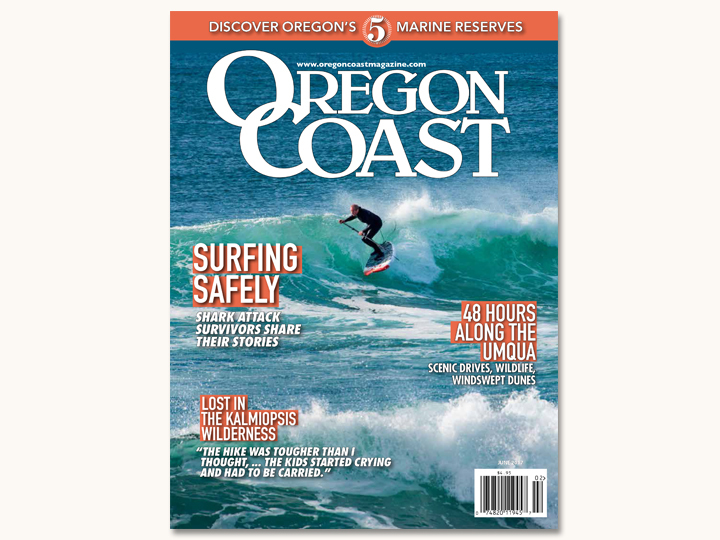 This Oregon surfing shot by photographer Larry Andreasen, is a great segue into the issue.